Site audience comparison tools provide marketers with industry and competitor intelligence to help inform decisions (e.g. new markets, new content strategies). Some of these tools also provide powerful segmentation capabilities. Typically, they do this either by aggregating Internet Service Provider data, panel data or a mixture of the two. Whether you’re launching a new product, entering a new market or wishing to understand what’s driving competitor growth, these tools can provide the relevant information to help inform key decisions. They’re often used to support business cases, helping to identify opportunities and threats in the competitor landscape. So if you are looking to map your competition, build a case for a new product line or more investment in your website, these tools can be extremely useful. Some of these tools require significant investment. They also provide huge amounts of raw data. 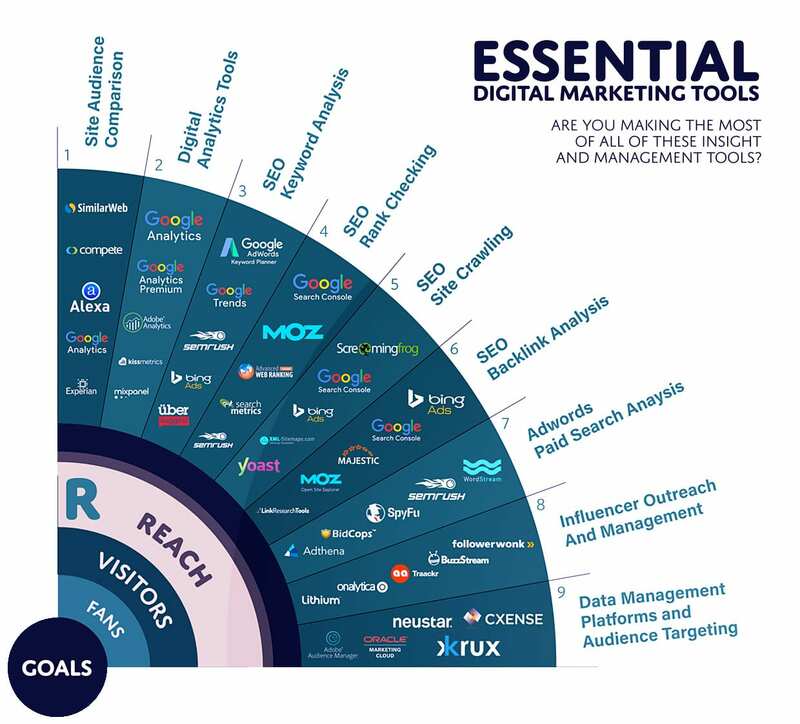 It’s important to recognise that getting the most from these tools requires dedicated resource; agencies and brands with dedicated analytics teams will likely glean the most value from these tools. Although limited, some (e.g. SimilarWeb) have a free version and most will provide free trials. Accuracy isn’t guaranteed. Bear this mind especially if other sources of data are limited when informing key decisions. If testing tools from this category, compare the metrics in each tool with the data in your web analytics (they won’t match exactly). Making these checks periodically is recommended once you’ve invested. Data collection options. Due to the way these tools collect their data, there continue to be questions over the accuracy of the mobile statistics provided. Make this a key point of discussion with any of the providers you speak to in this category. You can use these tool to compare the number of visits between sites, which can help make the case for more investment in your own site. You can also learn about acquisition tactics from the breakdown in traffic sources and keywords how your competitors are driving visits to their site. There is a free version and Chrome extension which provides top level data for a handy benchmark. We think this is now the best free benchmarking tool with the paid service offering good visibility. As with all of these benchmarking services, you have to review the accuracy of the sample. In the case of SimilarWeb it’s based on browser toolbars and extensions. This is a free tool at it’s most basic version but paid plans let you see more details and results. This is a great tool for a quick look at a site domain, providing it is getting a decent traffic volume. Tools and visualizations are very easy to use, and although the free version offers limited insight, it can give indicative data. For smaller sites, free tools can offer little data. However, the paid-for tool offers a large variety of additional data to go into greater depth. Remember that like competitors, although based on a sample of millions of Internet users, data is only representative of users who have downloaded one of the browser extensions. Another benefit is that its API can be integrated to validate your own analytics software, but also allow comparisons against competitor sites. Onsite intelligence to improve upon own site performance and highlight issues through site audit tools. This is a free but little known about features within Google Analytics which enables a top level view of the number of visits within a given industry sector. This is a neat feature in Google Analytics which you may not be aware of since it was re-introduced in 2014. You can choose between 1,600 different industry sectors. It’s useful because it is based on most accurate figures – recorded directly by Google Analytics across many sites within a specific category. However, the figures are anonymised and it doesn’t give you exact numbers. That means it is good for rough benchmark but can’t be used to establish how competitors are performing. Compete is a powerful tool which lets you monitor online competition, benchmark performance against industry, and discover new business opportunities. It’s a paid tool with no free version available. This service offers a great depth of cross-industry data to businesses with multi-functions e.g. sales, marketing, analysis, research etc. It is a key tool for larger businesses with multiple users and need for data driven campaigns and competitor monitoring, and agencies covering a variety of clients with different requirements. It comes are a high cost though, but does include training and support to get the most from the tool. Other major advantages include a great data visualization dashboard and the ability to drill-down up to 2 years past. 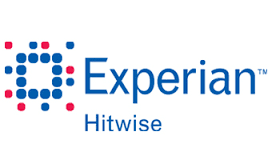 Experian Hitwise provides benchmarking of websites with detailed audience breakdown, so you can understand audience behaviour across different websites and devices. It is an enterprise level solution for large organisations looking for demographic information and understanding of customer journeys. It gives you access to demographic information and good quality keyword data for comparing paid and natural keywords. The big down side is that Hitwise has no insight available for non-customers. It’s strengths are a good quality sample based on collaboration with ISPs and integration of audience data. It’s part of a large marketing suite, so evaluate it alongside the other features it offers. Multichannel attribution data feeds back into Google AdWords and DoubleClick Search to inform bidding optimizations. MarketWatch reports that three Tesla manufacturing facilities across the U.S. will soon start trying out the company’s advanced robotics machinery and software to crank out the Model 3 car, its batteries and solar panels made under Musk’s new SolarCity merger. Another Tesla factory in California, which is closed for renovations, used to produce about 100,000 vehicles per year. When it reopens with the upgraded machine-making machinery, Musk believes it could be churning out five times that many by the end 2018. Apple manufactures much of its products abroad through contacted services, which Musk thinks is where his company might find its edge through mastery of automation. Tesla also uses contract manufacturing for some of its parts, however, while both companies offer similar maintenance services through walk-in locations and remote digital updates.